Apparently, I could have stayed actively involved in hip hop and been heavy into theology! Of course, folks at Reach Records (e.g., Lecrae) and Lamp Mode (e.g., Shai Linne) have made this case in their music. Now D.A. Horton has made that case in his book G.O.S.P.E.L. How can I present the Gospel in a way that is non-offensive to people living in an urban setting? Horton helpfully explains that in seeking to answer the second question, he’s not referring to the offense of the cross of Christ per the apostle Paul’s Gal. 5:11. Rather, Horton is attempting to address how suburban (i.e., white people) can share the gospel with urban minorities. Action Step #1: Focus on the Gospel, which transcends all cultures. Action Step #2: Get to know the culture of the city. Action Step #3: Demonstrate authenticity. Action Step #4: Study the Thebonical glossary. Horton believes that if you take these four actions, you’ll become better suited towards engaging people from an urban context with the gospel. These four steps are helpful because they remind readers that the gospel is, truly, for everyone and that there are actions we can take than will increase our effectiveness in communicating with different cultures. What Horton (and I!) would argue is that we must think about urban culture in the same way that we’d think about contextualizing the gospel for people living in China or parts of Africa or South America. Evangelical missionaries have worked tirelessly towards effectively contextualizing the gospel ever since we learned from folks like David Brainerd and Hudson Taylor, yet we haven’t always been very effective in how we engaged the different cultures among us! The first chapter addresses the need for the gospel in urban contexts. Horton’s reasoning is that, in his experience, many young people within urban churches are more familiar with hip hop artists and less familiar with the central message of Jesus. Besides simply troubling Horton, he sees the need to communicate the gospel in ways that will engage and encourage young urbanites to become fluent with more gospel. One needs to understand that Horton’s short book (seventy-seven pages) is simply trying to show that the gospel must be contextualized for those in an urban culture and how it can be easily contextualized. Each of the letters in his acronym are fairly standard evangelical understandings of the gospel. In other words, there’s not much to squabble over in these short chapters. Horton covers Imago Dei, how Adam and Eve had perfect fellowship with God (and each other), how sin was introduced into our world through the disobedience of Adam and Eve, how sin requires a penalty and that someone has to pay that price, which leads to Jesus who provides us everlasting life if we believe in him. Again, these short chapters are not controversial. Horton’s last chapter answers the question, “what now?” Here’s where this book becomes pretty interesting. It’s not simply a missional methodology, it’s also geared towards those who have not yet responded to the gospel. This last chapter allows readers the chance to make the decision to follow Jesus and what one should do if they do decide to follow him, specifically to plug into a local church. Finally, the book closes with the aforementioned thebonical glossary. In Action Step #4, we were told that “thebonics melds Ebonics with theological terms to help those from the inner city better understand the meaning of the Gospel.” This glossary includes a number of terms that many people may be completely unfamiliar with or surprised even exist. If you’ve been around the urban context, you might recognize a few. There is much to commend about Horton’s book. Any work that’s seeking to break into an often-misunderstood culture is going to, in my opinion, score points just for trying. I realize others have previously written about this subject (Tommy Kyllonen’s Un.orthodox: Church. Hip-Hop. Culture), but the culture is so large and has been largely either ignored or misunderstood for so long that the more theologians and pastors reflect on how to be missional, the better. I appreciate that Horton does not get side-tracked by secondary issues. Though baptism and issues related to spiritual gifts and the rapture are important, they are not central. Discussions about the gospel must remain central and focus on that which is primary. Horton has done a good job in this area. Furthermore, Horton clearly has a passion for reaching people from both urban and suburban cultures. In G.O.S.P.E.L. I was constantly impressed by how the message of this book could really help bring these two “worlds” together. So there is much to commend. In fact, I’d highly recommend this book to anyone who is interested in the subject of urban missional theology, urban contextualization, cross cultural studies, or hip hop. It has plenty to say and is a valuable voice. Yet I wonder if it would be helpful to differentiate between urban and hip hop culture. Not everyone who lives in an urban context enjoys or even identifies with the hip hop culture. Many do, but not all. I’m afraid that some well intending non-urbanites may pick up a copy of this book and then assume that it presents urban culture as monolithic. Having spent a fair amount of time with many non-white ethnic groups, I can confidently state that there are many black, Hispanic, Asian, etc., people who do not self-identify as being “hip hop heads.” Many do, but not all. Urban does not equate to hip hop. Furthermore, this may have a lot to do with age. As I read G.O.S.P.E.L., I was left with the impression that the primary audience would fit into the younger category. Being that Horton has spent a lot of his time fine tuning the message of his book around youth, this makes sense. This leads to another question/comment. 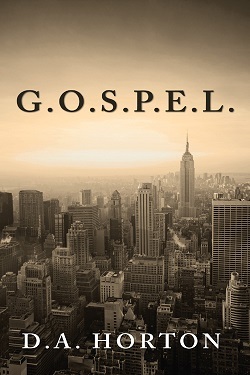 I want both urban and suburban people, Christians and non, to read G.O.S.P.E.L. because it has a lot to offer. I wonder if the audience would have been served if they had a better understanding of how to read this book. For example, I’d like to see a young urban Christian read this book as a way of better understanding the gospel so that he/she could better share the gospel with their peers. I’d like to see the young urban non-Christian read this book in order to have a better contextualized presentation of the gospel than what they may have heard/seen from non-urbanites. I’d like to see older suburban Christians read this book to better understand how to contextualize the gospel to those who are influenced by the hip hop culture and to really challenge their methodology. I also have concerns about how some people may read this book and then try and apply it. The thebonical glossary seems to be a mixed bag. It’s clearly not just an “ebonics” glossary, as it includes words that have no connection to “ebonics” that are simply theological words (e.g., atonement, fellowship, justified). It does, however, include a fair amount of “hip hop” language. I’m hopeful that some young white kids won’t read this book and memorize the thebonical glossary and then attempt to talk to their black friends using words and phrases from it. Have you ever heard of the word “poser” or “wannabe” or “wankster”? No? Well you will if you do what I just said. Those concerns are really not criticisms of the author. They are more reflections on how you should/shouldn’t read G.O.S.P.E.L. and how you could maybe guide others as they read. Overall, Horton is to be encouraged to continue his work and to write more on this subject. I know that I will recommend G.O.S.P.E.L. to anyone I come in contact with who is engaged in ministry amongst those connected to or interested in the hip hop culture. I really enjoyed reading this book as well & am ready to recommend it to anyone to whom it may apply. And yes, quit hiding your “rapspectacularness.” You should check out D.A.’s book “DNA” too, it’s another great read. I had my oldest son go through it. As always, I enjoy reading your blog. Grace & peace! Ha ha ha ha. I guess I am guilty of hiding this alleged “rapspectacularness.” Although, truth be told, I would rather call it “raprants.” That’s more accurate. Thanks for reading… I like your site too!